THIS JUST IN! 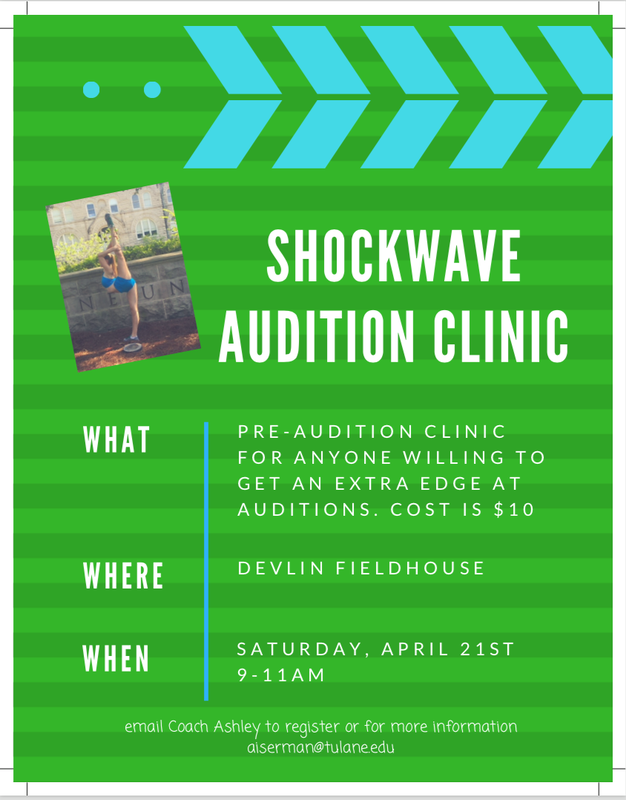 Shockwave will be hosting our FIRST EVER, Pre-Audition Clinic, for those interested in gaining an edge for Shockwave Auditions! The Clinic will be held on April 21st (the day before Auditions) at Devlin Fieldhouse. For only $10, you will have the chance to get a head start on auditions, meet our coach and team leaders, and be even more prepared to dance in front of the panel of judges. Please email Coach Ashley (Aiserman@tulane.edu) to register! We hope to see you there. ROLL WAVE!